Why do we Celebrate OAKtober? Oak trees are proving to be more important to ecological balance than previously thought. Of the 60-plus native oaks in the United States, 22 of them are right here in Illinois. Homeowners know them for their majestic size and shape, and this time of year, for their colors of red, yellow and gold. Oaks, like all other trees, contribute to our health by removing air pollution, taking in carbon dioxide and giving us oxygen to breathe. However, there are some things that set oaks apart. Bird watchers have noted some 250 migratory birds that prefer oaks as they pass through northern Illinois. Oaks provide additional benefits to native understory plants like Virginia bluebells, trillium and early spring bulbs by creating favorable conditions for growth. Oaks are the largest supporter of native insects, which are always preferred over introduced species into the United States. Additionally, oak trees are known for improving water quality and reducing water runoff into our streams during rain events. Oaks will lower water temperatures, which will keep fish and other aquatic life healthier. When we use oak trees in the landscape, there is an associated increase in property value as the trees grow in size and mature. There are several organizations generating interest in not only preserving the oaks we have, but encouraging the planting of additional oaks. Search "OAKtober" or visit http://chicagorti.org/events/oaktober-events and you will find many events promoting oaks in the month of October. How can you help promote oak species? Suggestions include clearing out weedy trees that can outcompete slower growing seedlings and young oak trees. A good place to start is identifying invasive species and making their removal number one on your list. In addition, planting a young oak tree in the home landscape is an easy way to increase tree diversity, which we hear about so often since the Emerald Ash Borer devastated our ash trees. If you want a family project that will provide years of family history, grow an oak starting with an acorn. Mother Nature takes care of the details, while we need to be sure to protect the seedling from wildlife feeding, and later the younger tree, as it grows. Take pictures every year as the tree and children grow together to capture lasting memories. When planting an oak purchased from a retail garden center or nursery, you get a head start. Planting an oak is no different that planting any other kind of tree. Give the oak enough space to grow into maturity, planting at the right depth with a hole wider at the top than at the bottom and water properly for at least two seasons. 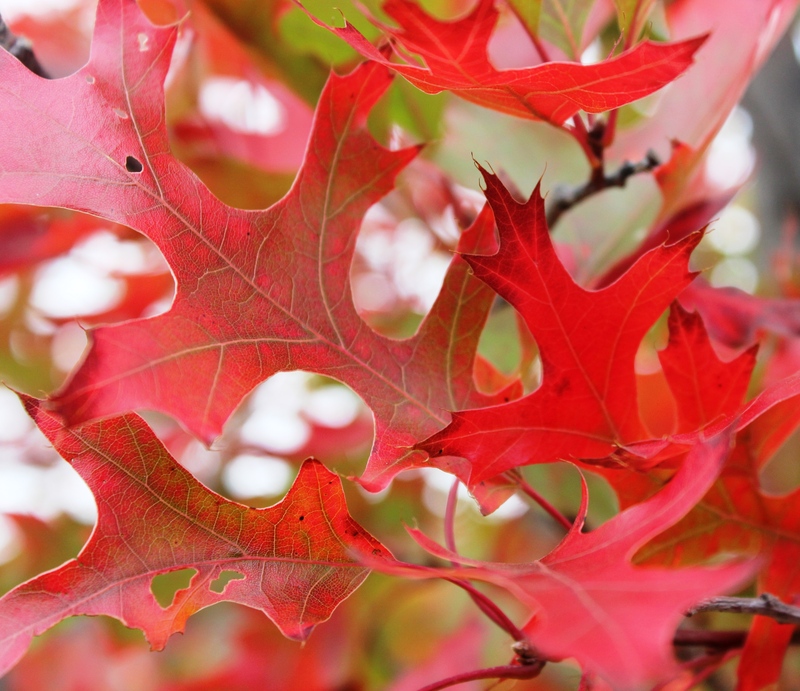 Learn more about caring for and maintaining oak trees from University of Illinois Extension at https://go.illinois.edu/ExtensionOakReport and learn more about the Oak Ecosystems Recovery Project at http://chicagorti.org/programs.